I hate waste. I detest hoarding useless clutter. And most of all – I LOATHE mindless lists. At first I wrote a comprehensive list of the usual recommended hundred and one bandages of various sizes and shapes, cough mixtures and eye baths (what on earth!? )…but then realised that this went against everything I believe in! This is a practical and useful first aid kit. 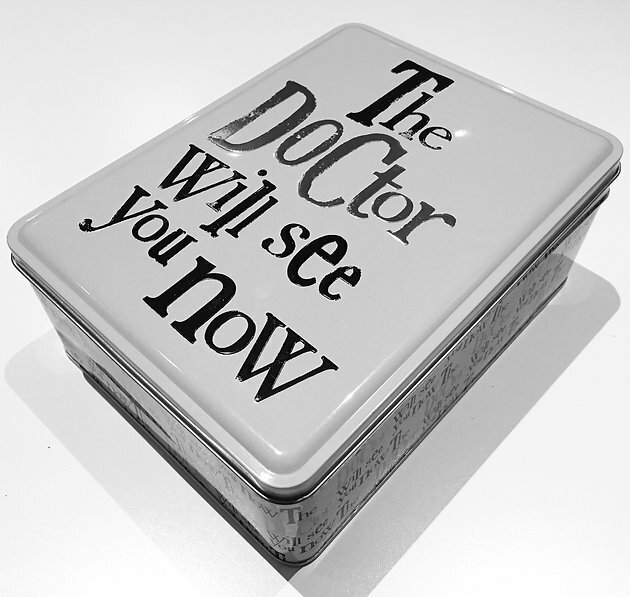 A doctor mummy’s first aid kit. 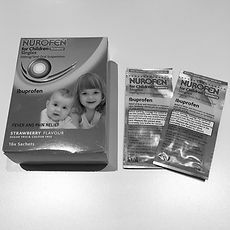 This genuinely is what I have at home and also what I recommend should be in parent’s first aid kits. NB If you are expecting a newborn, I would also include the bits in my Baby’s 1st Health Kit post. No it’s not a green military rucksack bulging with various ointments and 10,000 packets of sterile gauze. It’s a tin box. A relatively small (and slightly ironic) one at that. I’m sorry to disappoint. The falls and injuries you will be managing at home are the minor ones, so at most you will need a box of gauze and a bandage to wrap around it if a cut is too large for a plaster and some form of antiseptic wipe/wash to clean the wound with beforehand. 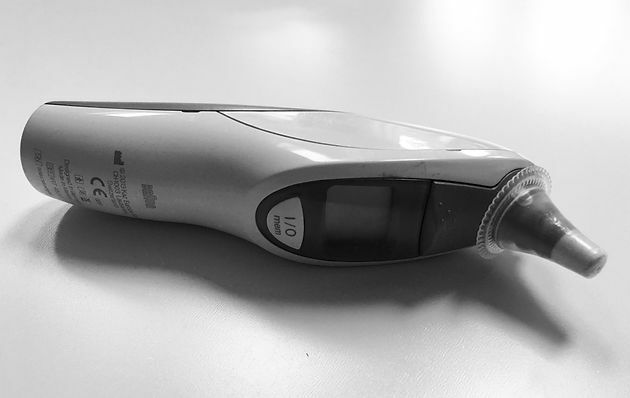 In the UK we recommend that a fever is checked using a tympanic thermometer (an electronic thermometer that is placed in the ear). If your child has a fever that you want to give medicine for- always check the recommended dosage and never give more as it can be very dangerous. Genuinely, this is all we have. 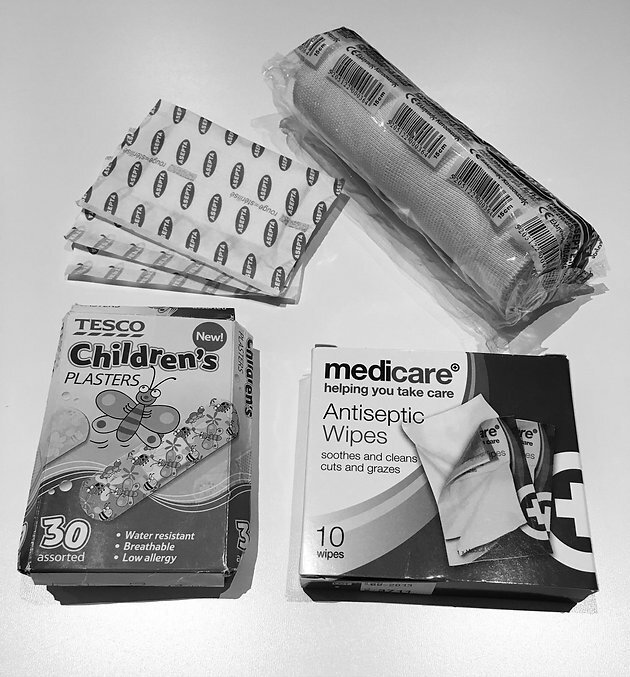 It is also everything we have ever needed and should I ever be in dire need of a triangular bandage or eye wash (unlikely)…I’m safe in the knowledge that we live in a world of 24 hour supermarkets and Amazon Prime. I suppose my main recommendation is that if you don’t know what something is or how to use it – then you don’t need it. Keep it simple and practical. 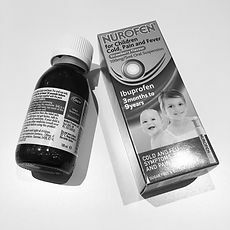 If a cut/burn/fever is not manageable with these things, then it means you should seek medical advice from your GP/practice nurse. 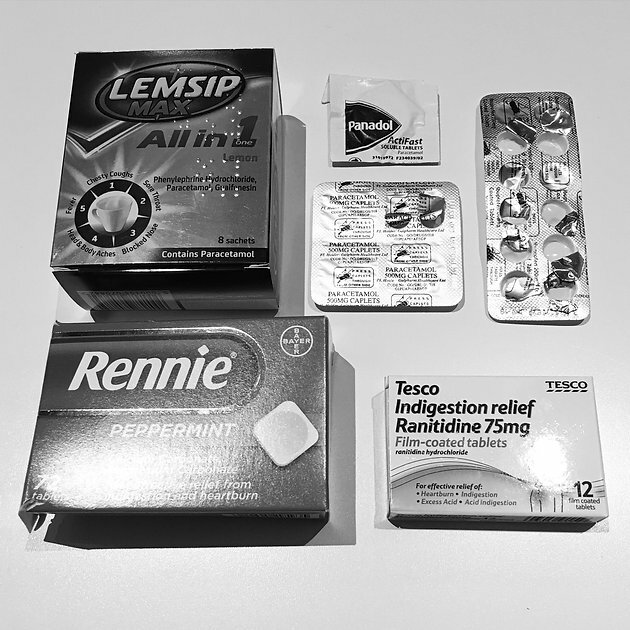 Pingback: Dr Mummykins holiday health kit – A doctor mummy's health blog.